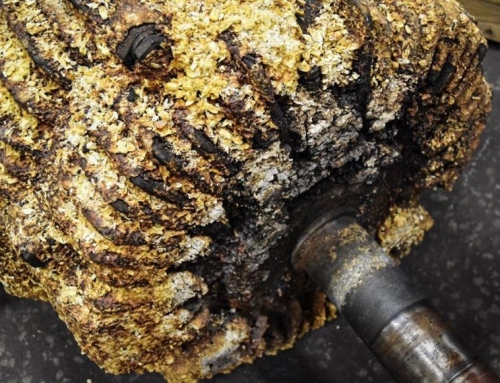 In 2014, a customer contacted Bodine after observing a noticeable increase in vibration in its coal crusher. The crusher’s hammer mill had recently been reconditioned elsewhere, and a rebuilt rotor and new bearings had been installed. After a short time in service, the vibration had increased to a level high enough to repeatedly trip the vibration sensors. 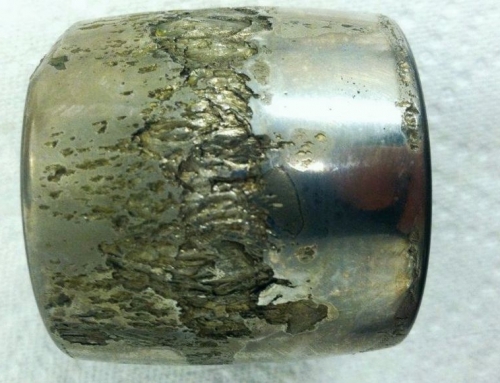 Bodine completed a thorough initial inspection of the unit and collected vibration readings throughout the repair process, finding multiple issues that were masking the root cause of the problem. 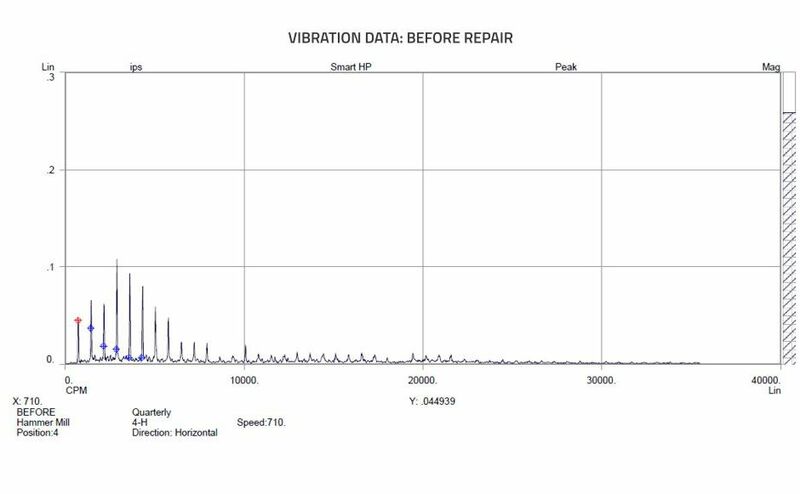 A new coupling was installed, and subsequent vibration readings continued to show looseness and indications of misalignment. 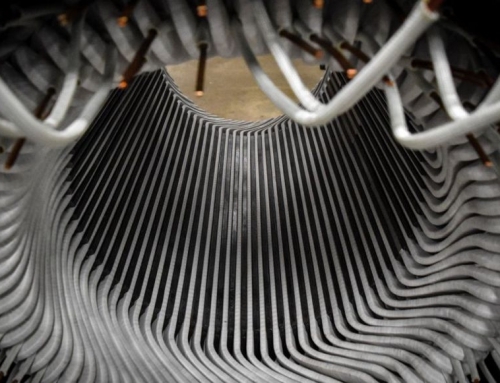 During a laser alignment, the motor base was found to be bolt-bound due to the base plate. Bodine removed, repaired and reinstalled the base plate before collecting new vibration data. The looseness remained, but now showed distinct symptoms of Mechanical Type “C” looseness. 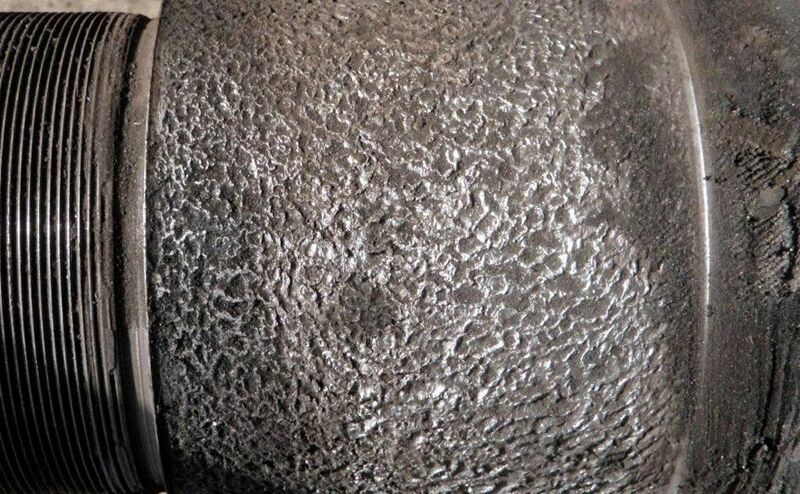 An inspection of the hammer mill bearings was recommended. 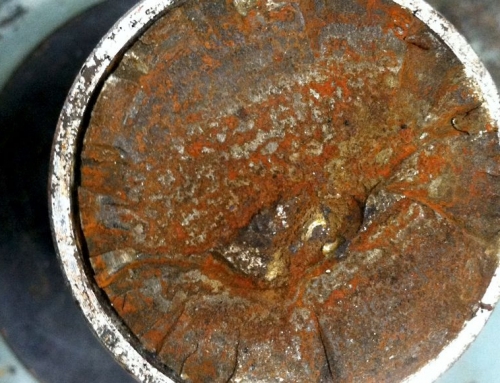 After pulling the bearings, a severely loose bearing fit was found at the outboard bearing. Due to the severity of the damage, the shaft was unable to be repaired. A different rotor was sent to Bodine’s shop to be reconditioned, and was later installed. 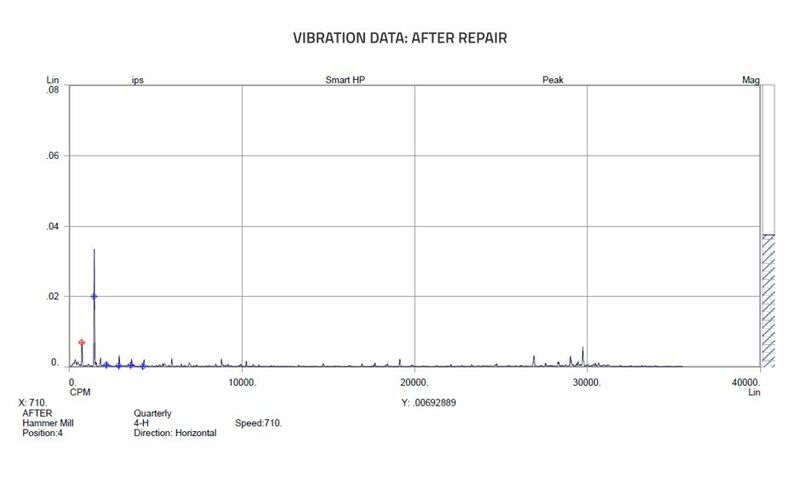 Subsequent vibration data collected showed a dramatic decrease in vibration, which had reduced to an acceptable level.